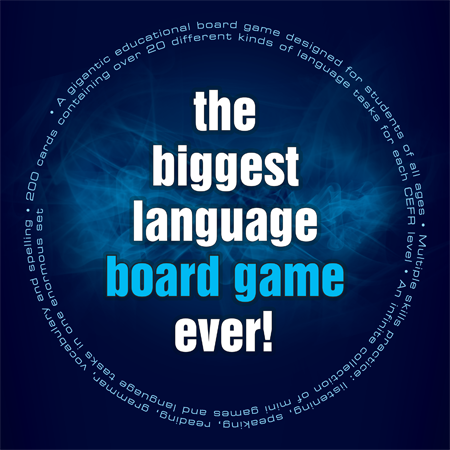 The biggest collection of language games zipped up in one bag! 5 individual tinned sets of cards containing multiple ideas on how to use them to enrich the curriculum and liven up language classes in any school. ​It's basically a supplementary course book turned into a wide selection of interactive games and activities. Infinity has been tested with different age groups and students from many different countries. Thus we have ensured the linguistic content of the game is accurate and in line with CEFR levels. We recommend that the individual sets of cards are used in various mini games first, before they land on the Infinity board. The latter stage is supposed to help students reinforce the language content they have acquired before. You will find 15 sample ideas for such mini games inside the boxes containing cards.